Long Day Schedule due to Testing. 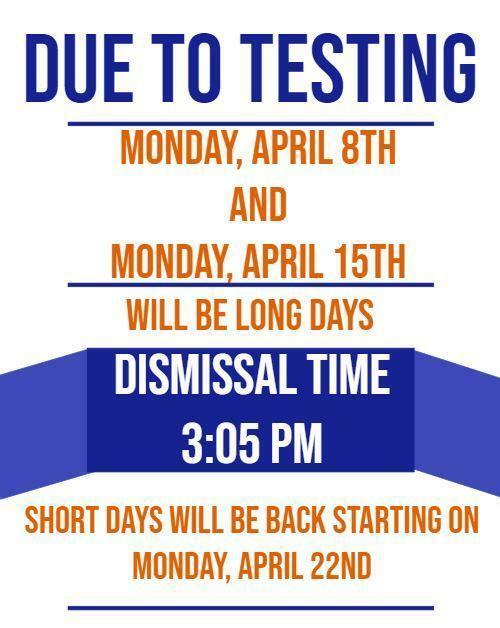 Due to Testing, Monday, April 8th. and Monday, April 15th. Dismissal time will be 3:05 pm. Short days will be back starting on April 22nd.